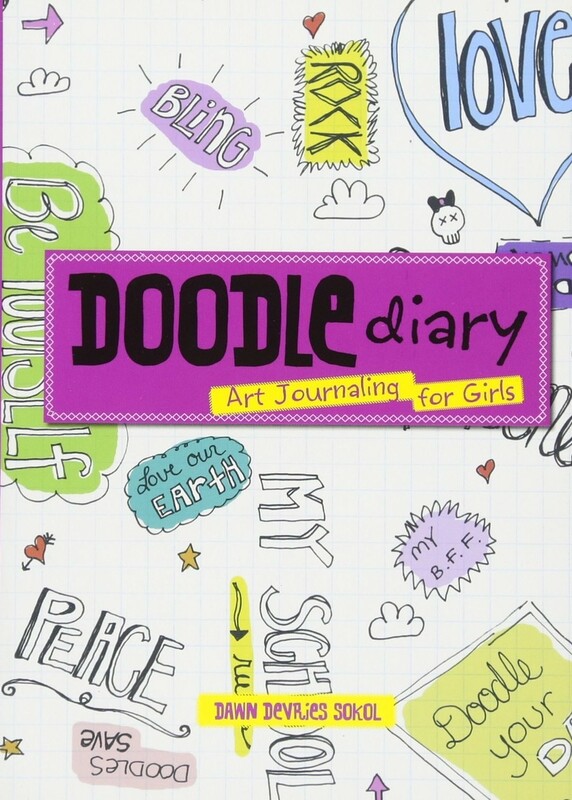 Doodle Diary is an interactive guide to doodling that teaches girls how to combine images with words and art journaling techniques. In the tradition of Keri Smith (Wreck This Journal, This Is Not a Book), Dawn DeVries Sokol has created a fun, easy artist's journal to get kids started with the basics. 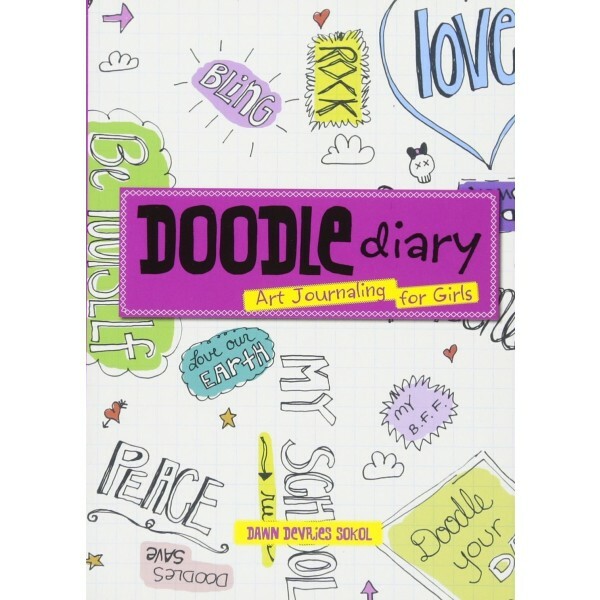 Beautifully illustrated in full color, Doodle Diary provides clear explanations, instructions, and inspirations. Every page prompts a different project using a different artistic medium. For example, the Extreme School Makeover page directs you to paste a photo of your school on the page and then doodle over the image to remake it. Another page is for your movie reviews, but don't forget to add your recent movie stubs or photos from ads to enhance the page. Whether you want to doodle about your day, make lists of your favorite things, or just write down goals and daydream, Doodle Diary is a great way to learn about art while having fun.